#FuelMyAwesome Asks: What Gets You In the Code Zone? #FuelMyAwesome is a salute to coding and creating. It’s a celebration of the awesome work you do, and the awesome ways you do it. A chance for us to recognize those of you who put all you’ve got into your apps, software, and games. We want to know: What fuels your awesome? What favorite snack or music or ritual gets you cranking out that beautiful code? It’s easy to let us know, and there are prizes involved. Just jump on Twitter and tweet to @Azure, letting us know what gets you in the code zone with the hashtags #FuelMyAwesome and #sweepstakes. In return, we’ll be rewarding some of the most fun and intriguing responses with care packs full of Microsoft #FuelMyAwesome goodies. You must be a current follower of the @Azure handle on Twitter. 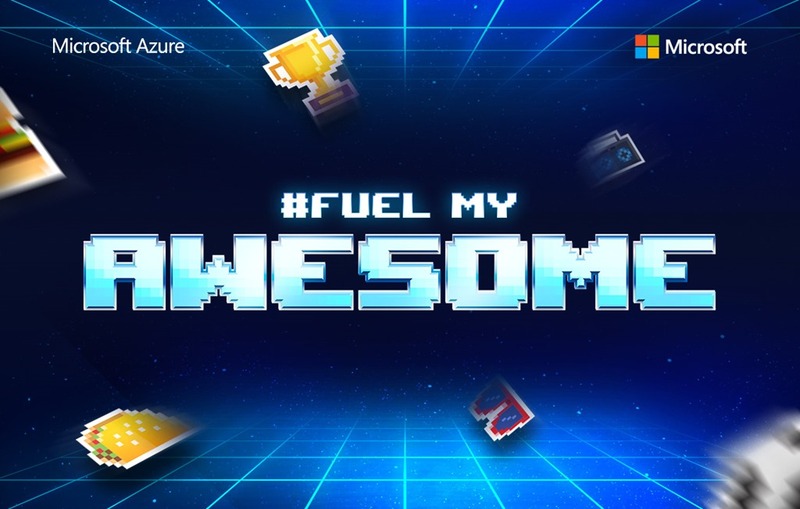 You must use the hashtags #FuelMyAwesome and #sweepstakes when tweeting to the @Azure Twitter handle about what fuels your awesome. Twenty (20) winners will be selected each week during a six (6) week period. Entries are only eligible for one weekly period, and cannot roll over to the following week. You can enter each week at the end of each drawing period. You may tweet with the hashtag #FuelMyAwesome as frequently as you wish, but multiple tweets within a week will not increase your chances of winning. You must have an active Twitter account (create one for free at www.twitter.com). If you are 18 years of age or older but are considered a minor in your place of residence, you should ask your parent’s or legal guardian’s permission prior to entering the sweepstakes. You must be a legal resident of the United States, residing in a location where sweepstakes are not prohibited. You must not be an employee of Microsoft Corporation or an employee of a Microsoft subsidiary. You have from June 7 to July 21 to enter—so get out there and tell us what gets your awesome going. Check out the full Terms and Conditions, including winner selection and prize details, here. We can’t wait to see what fuels your awesome.